Students and volunteers celebrating National Read Across America Day. 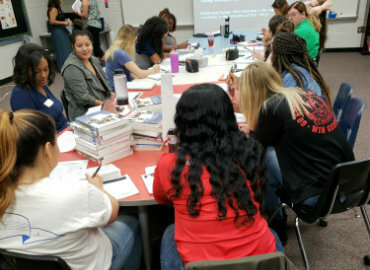 Instructional planning centered around the Quality Plus Teaching Strategies. 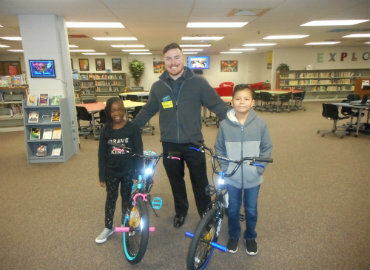 These students were randomly chosen from a group of students who had perfect attendance during the first semester to receive a new bike from our business partner, Horace Mann.